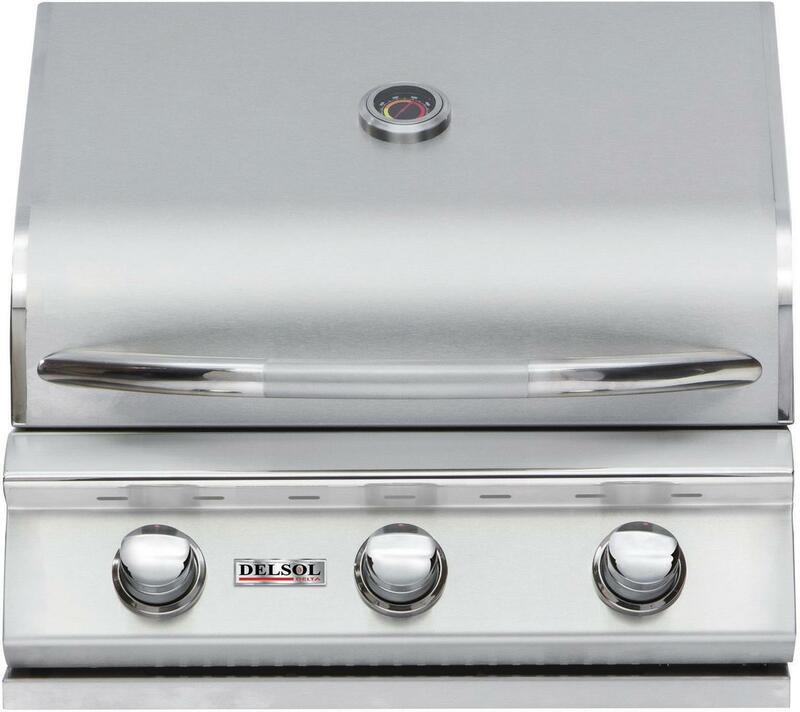 The Delsol Delta 25-Inch 3-Burner Built-In Gas Grill by Delsol combines an economical size grilling surface with high-end performance. 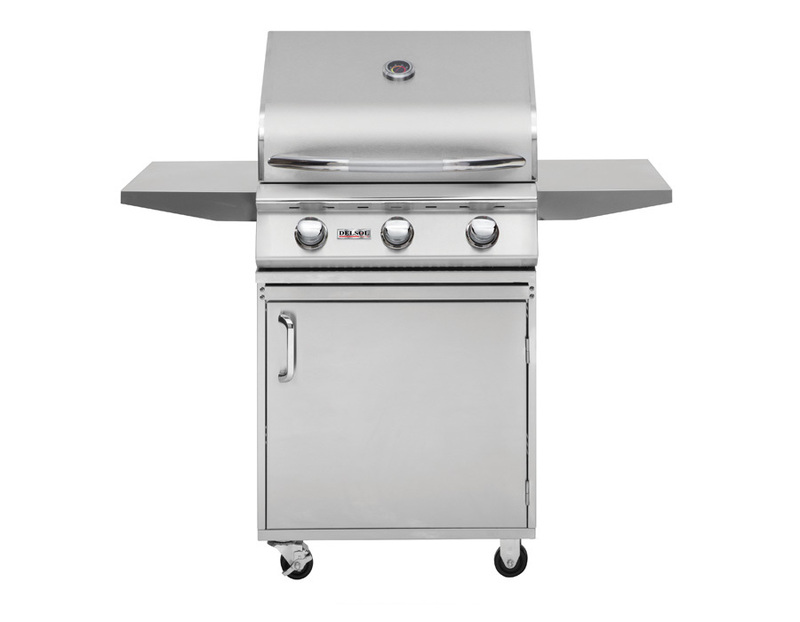 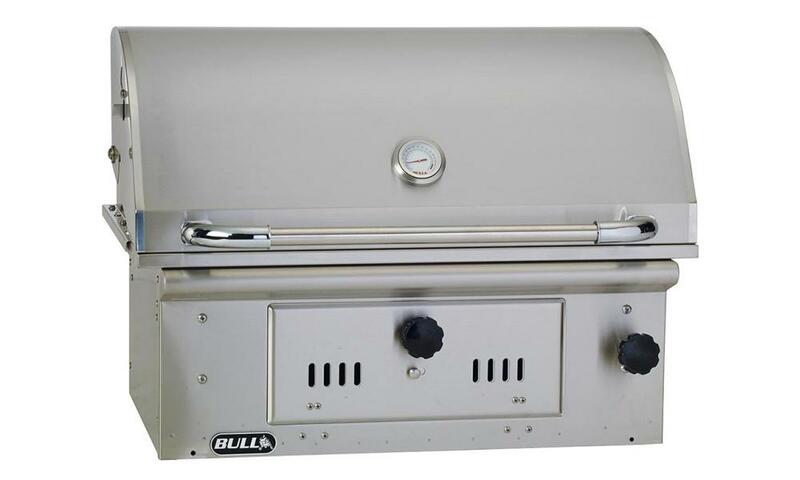 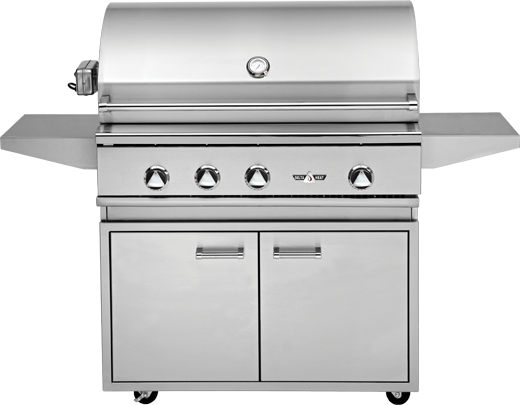 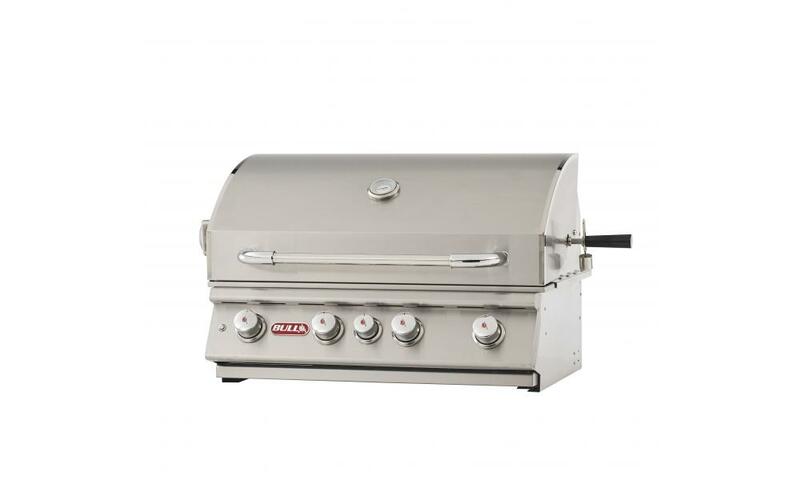 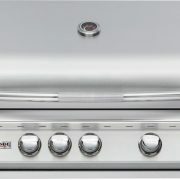 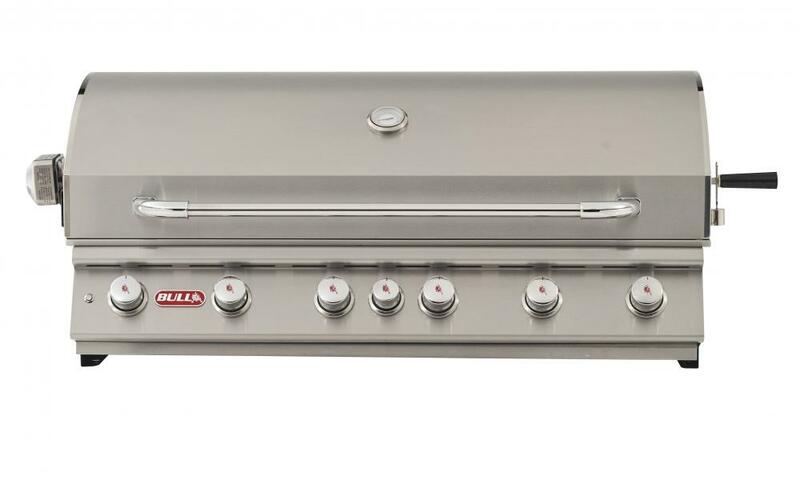 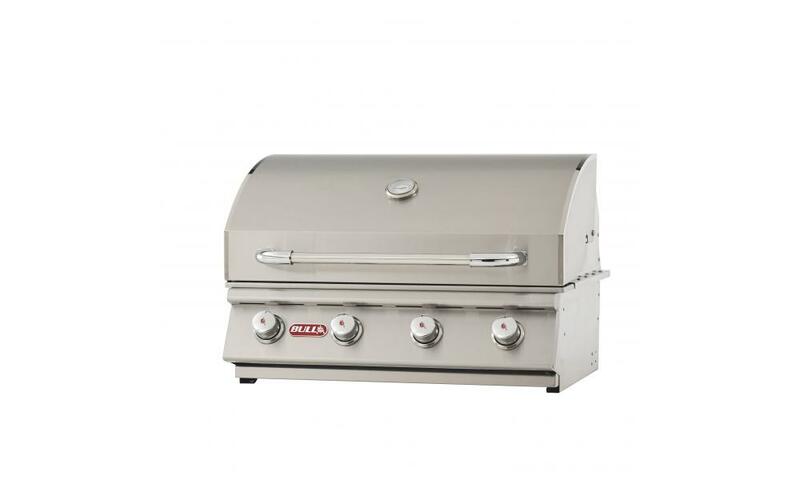 This grill features (3) 18-gauge 304 stainless steel burners and a 405-square-inch grilling surface. 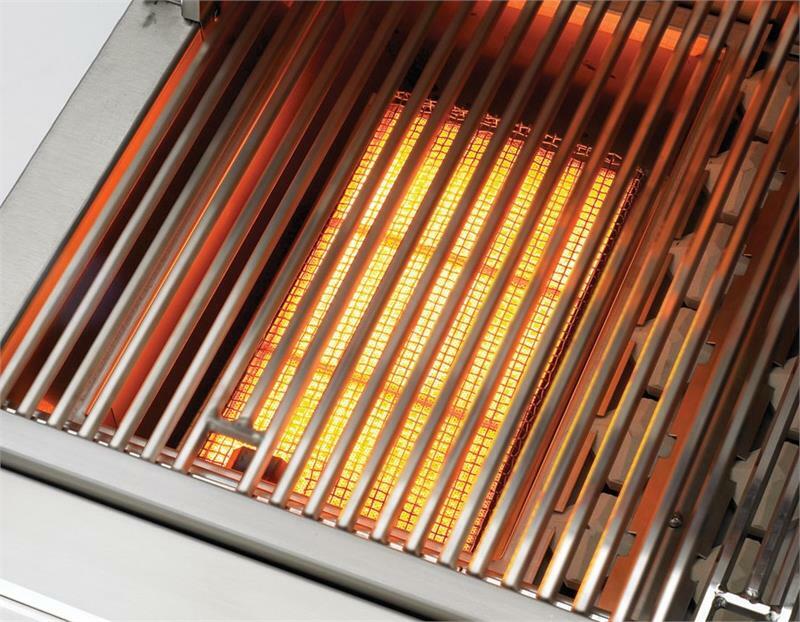 Each Delsol grill combines direct heat and ceramic radiant grilling for hotter grilling temperatures and even heat distribution. 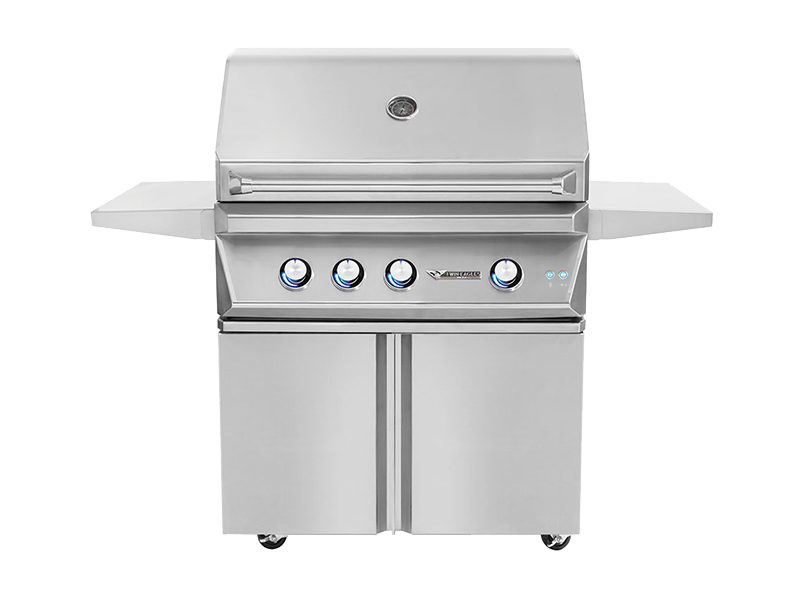 This innovative design eliminates hot and cold spots within the grill for consistent cooking results across the grill surface. 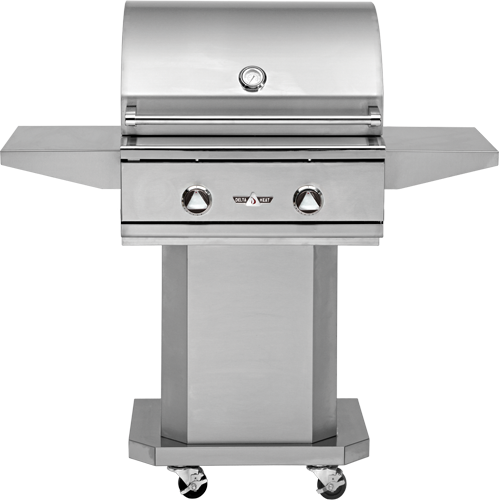 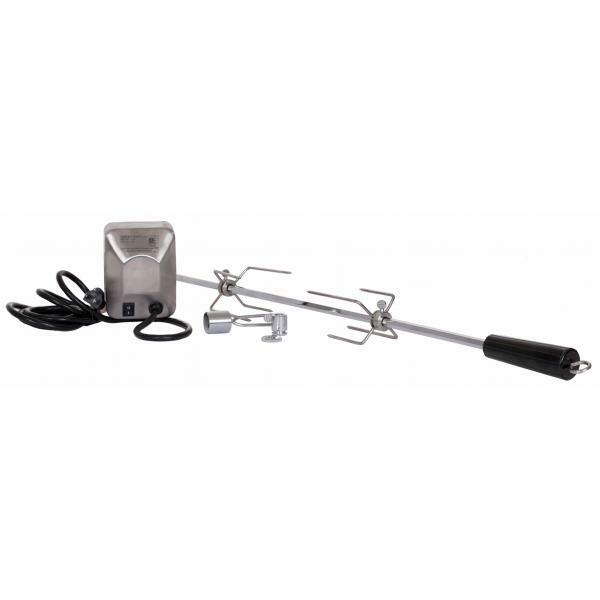 With optional additions, such as the infrared sear zone and rotisserie kit, this unit offers high performance BBQ grilling perfect for professional cooks and weekend grilling enthusiasts alike. 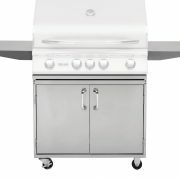 For added reliability, this grill features a Push & Turn Flame-assist Ignition System to ensure your grill lights consistently every time. 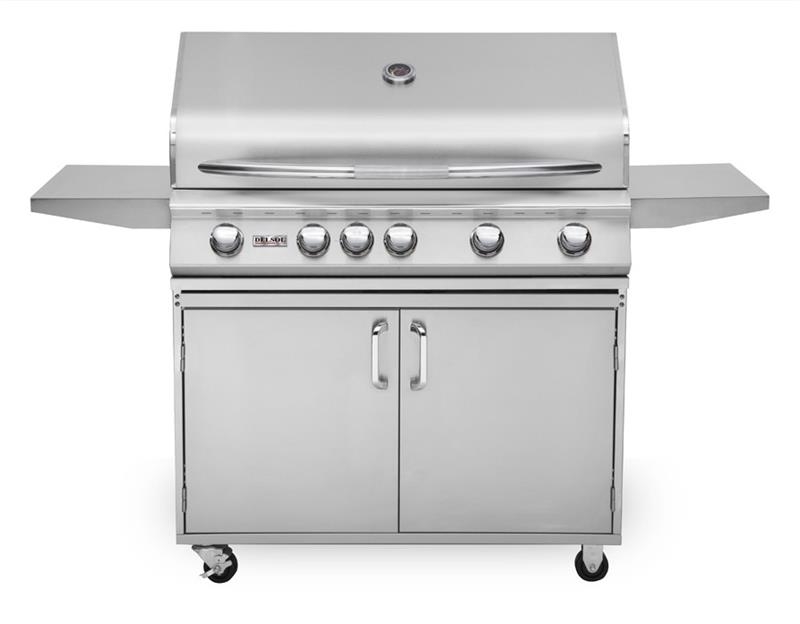 Additional premium specifications include an integrated temperature gauge, a double-lined grill hood, full-width drip tray, and a removable warming/cooling rack with 122 square inches of space. 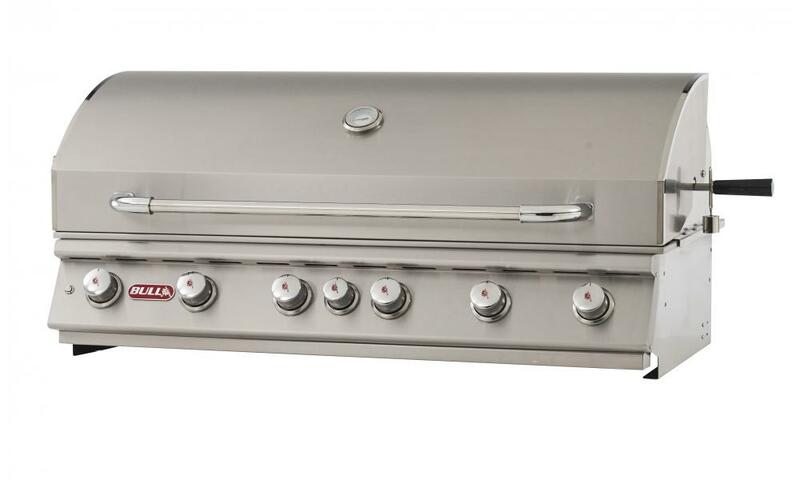 This grill offers a fantastic centerpiece for any outdoor kitchen. 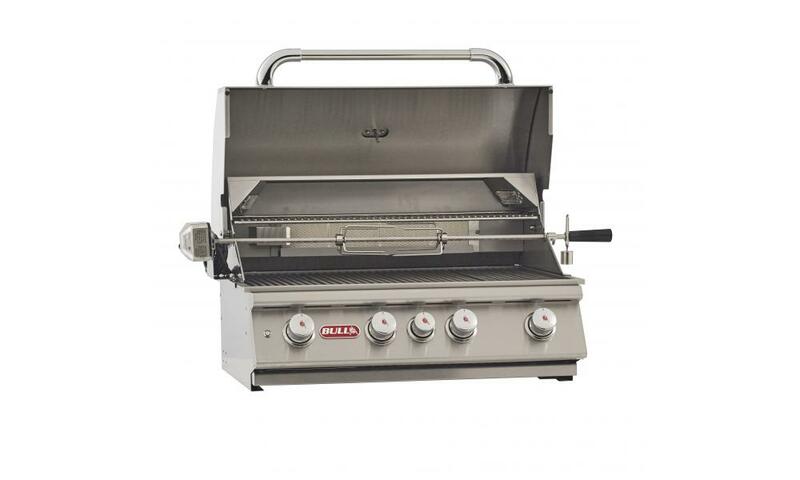 With a minimalist contemporary design, seamless welds, and high-polished accents, this grill has been engineered to look as great as it performs. 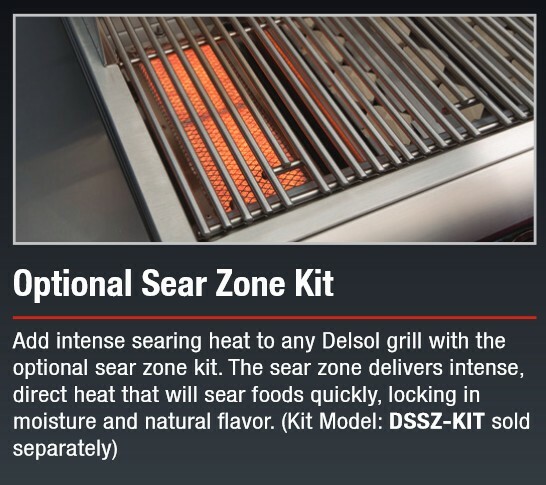 Every Delsol grill is fire tested and packaged in the U.S.A. to ensure the highest quality control standards.